In life, I feel like there are really no negative situations. It’s all stuff you can learn from. A few weeks back, when we lost in St. Louis, everyone was disappointed. That was a game we could have won, and we were definitely the more talented team. But we made some mistakes that didn’t allow us to win. Right after the game, I walked into the coaches’ dressing room to talk to Coach Carroll. What I told him was this: We’re on the right track. That was the one thing I took away from that loss. For me personally, it was the first game in the year where I really found myself getting into a rhythm on defense. And even after losing, there was part of me that was excited. You do everything you can to get that rhythm defensively, and once you have it, it spreads to your teammates. You trust yourself and each other, and it can have a tremendous impact. You feel it on the field in everything from how you communicate to the way you high-five each other after a good play. We haven’t missed a beat since. We’ve come so far over this three-game winning streak, especially from the beginning of the year. Our D-line has had to deal with a lot of adversity. We just lost Brandon Mebane for the rest of the season. He was a very, very impactful player, and he was just starting to get the recognition he’s been due for a while now. But what I love about our team is how we’ve responded. Michael Bennett is stepping up as a leader. Tony McDaniel is stepping up as a leader. 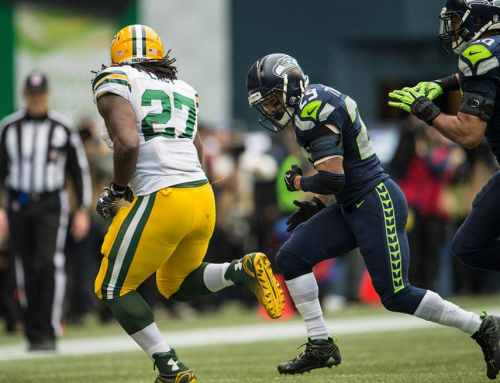 Cliff Avril is a very, very smart football player, maybe the smartest D-lineman that we have. Add in a bunch of the young guys that are playing hard — to me, watching from the backend, it’s just special to see all of these guys bringing it in practice every day. We also have one of the best rookie classes in terms of the mindset a lot of the players had when they got here. All of these defensive guys have warrior mentalities. They remind me of a younger me, and I’m able to really connect with them. It’s just fun to see them work and advance from week to week, very smart situational football players at a young age. Our coaching staff has really helped us all out a lot with paying attention to the details, making sure there are no gray areas, and really defining what our job responsibilities are. It’s funny, but I don’t really even look at the coaching staff as coaches. We just have a lot of great teachers that also share their life experiences. They’re always sharing stories with us, and when they do, we as players feel a certain trust and a genuine, authentic feel. They’re letting us know who we are while we’re learning at the same time. That’s what so great about this team. We go into every day knowing only that we’re going to work hard, but through the teaching and the learning process, we’re building a real connection to each other. In my eyes, our locker room is closer than ever before. I guess people have been reporting different things about what’s been happening here, but all I see are guys laughing and music playing. Being up here in Seattle, we’re kind of on our own, so it’s pretty simple to block out all the noise. I’m not on social media as much during the season, and I don’t really watch that much TV. We’re all focused on the grind, and the grind is where you really learn about your teammates, and where your relationships grow, especially on defense. As an example: a couple days ago, we met as a defense with no coaches. Just the linebackers and the defense. It was great to hear everybody’s suggestions, and to talk it out. Because once you start talking about things and bouncing ideas off each other, wisdom sometimes comes. I love that. One day, when I retire, I’m going to miss the team aspect of things. You meet so many great people, and going through adverse situations together and growing from them just makes your relationship better, and brightens your overall understanding of each other. That’s what life is all about — letting go of the petty stuff, and staying focused on your ultimate goal, which for us is the Super Bowl. We understand that. 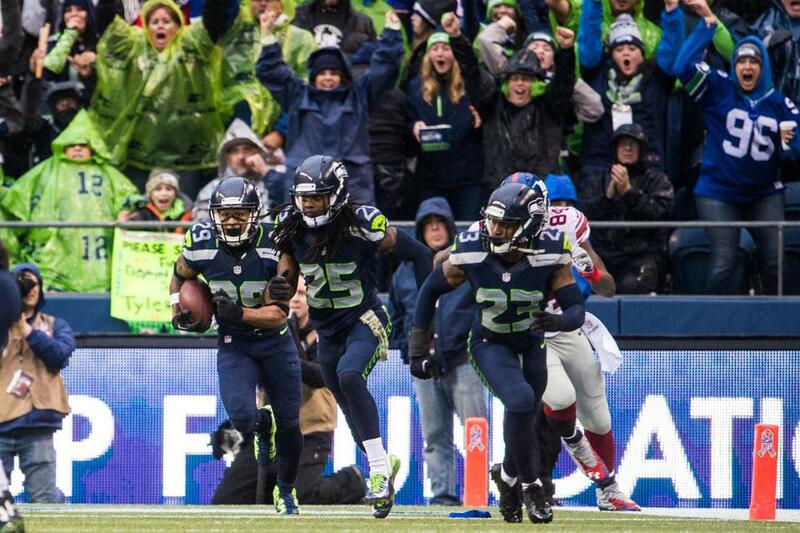 Marshawn Lynch is the perfect example of blocking out all distractions. If anybody needs help with not listening to what the media says or what’s going on around them, they should really, really look at what Marshawn is doing. And he’s doing it in a perfect way, in my eyes. You don’t see too many superstars in the NFL these days willing to line up at a fullback position, and let other guys get carries. Other guys would pout, and let their ego get in their way. He’s definitely not like that. He’s a humble guy. And you love that about him. The way he runs – we feed off of it as far as the defense goes, and I know the offense does too. The way we’re enjoying the game right now on defense, we don’t really need much to get us motivated. 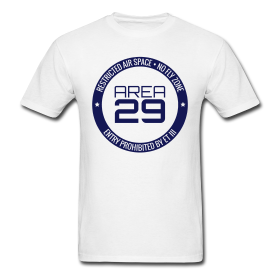 But when you see him play like he has been, especially out of the blue, especially when we’re in a dogfight and we’re battling on defense — just trying to keep us in the game — and he’s fighting for every yard, you can’t help but feel it. He inspired me. He moved me. I felt a sense of encouragement, which was exciting and shocking all at the same time. 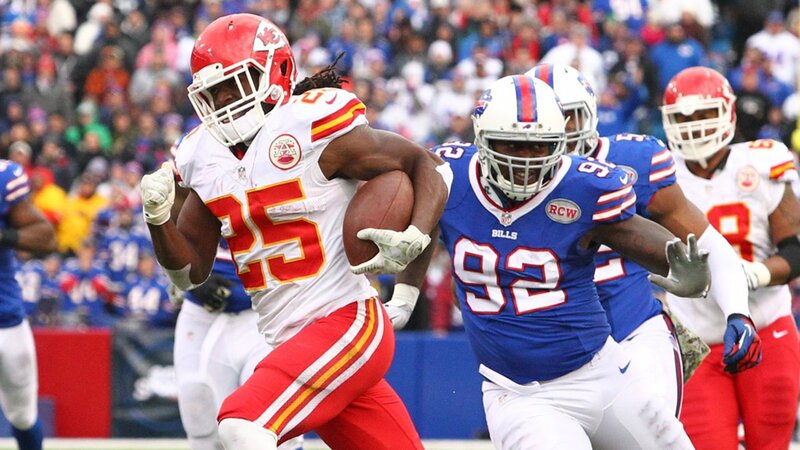 We’ll be going against another great running back this weekend in Jamaal Charles. He can break a huge run at any time because he’s got track speed. That calls for us to be very, very patient. He’s a great challenge for us to see where we are as a defense. You always want to play whoever’s considered the best. Jamaal’s also my brother. We grew up 10 minutes apart from each other. He grew up in Port Arthur, Texas, and I grew up in Orange, Texas. He played running back in high school, and I played running back in high school. He was just older. Then we went to college, and we were college teammates at Texas for a season. Our relationship is great. After we won the Super Bowl last year, Jamaal was right there at the Super Bowl party at the hotel after the game. Anything I do, he’s always there to support me. The thing I respect most about Jamaal is that he’s the foundation of his family. We didn’t grow up from much, but just for him to change the fate of his family from the bad situation they were in — you can’t do anything but respect a guy like that. Funny enough, we never played each other growing up. He went to a 5A school, and I went to a 3A school. But I can tell you this. Every year, he has a 7 on 7 football tournament, and I’m the reigning champion. I went to his house this year to take his championship trophy. We have the best fans in the league for our home games at the Link, but we’re on the road this week. We’ll be in a foreign environment, but that just makes for a more intimate, special experience for our team. It’s just us. We’re going into a place to try and do what we have to do. The challenge is to find out if we can do it. To be honest, I don’t think too much about where we’re playing. It can’t matter to me. We study and do the right things during the week as far as preparing ourselves to play. We have to be fearless. There’s no time to second guess yourself. I think what’s bringing us over the top is how fearlessly we’re playing. You never know what you’re capable of until you really get backed into a corner, and you have no choice but to fight. I love that situation. We love that situation. And the truth is, we’re continuing to improve. There’s a misconception that we played all last season at a peak level. We didn’t reach that peak until the last game of the season, which was the Super Bowl. If you watched the playoffs, there were always mistakes, but our want to and our effort always made up for it. People are going to think what they think, but those who really look past the headlines and take things in real time instead of in highlights, they see the value of growth, and understanding the process like we understand it. We have a clear vision of where we want to be as a dominant defense. So every day, we’re working to keep building. I feel like where we are now is just like where we were last year. Everybody was counting us out. The thing is that we feed off being the underdog. We play better with a chip on our shoulder. To the doubters and our fans: Our hearts flow with love for the game and most importantly, love for each other. We’re playing this game the right way. That’s why we’re on the rise. We’re picking up speed. I’ll be the 12 sitting right behind the Seahawks bench tomorrow in KC! See you there! Thanks for taking the time to share this, Earl. Your hard work is bearing fruit. Keep it up! 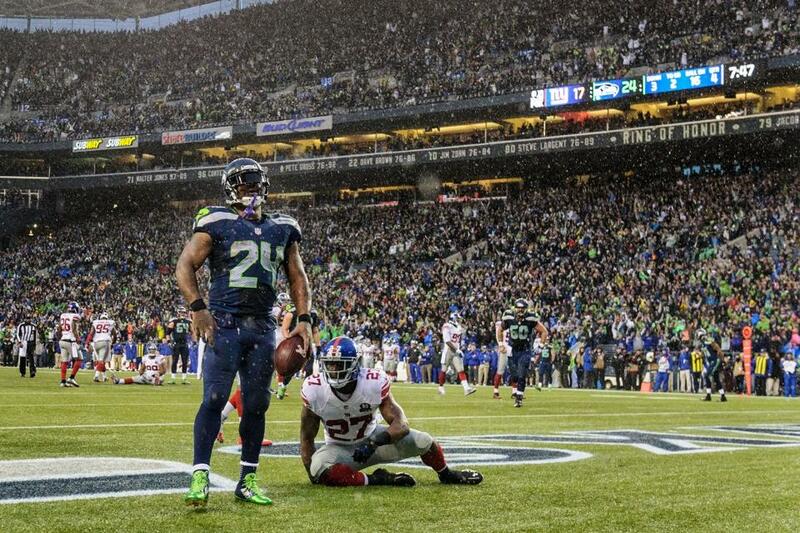 You make us proud to be 12s. I think you are amazing! 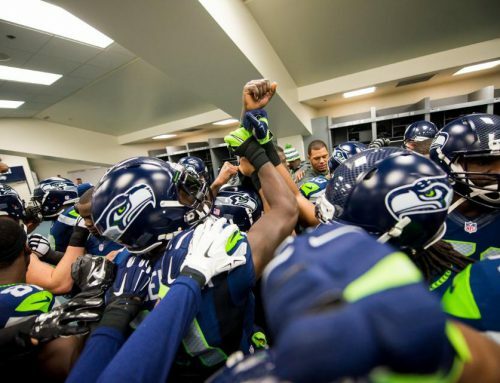 You embody the spirit that keeps me loving the Seattle Seahawks. Your blog entry is a fantastic and powerful testimony of what it takes to succeed. Great example for anyone wishing to be at the top of their field of choice. You are wise beyond your years. An old soul. You Rock! Thanks for writing this piece. It attests not only to your passion for the game, love for teamwork, and family mentality, but also to your intelligence as a writer, showing your skills in writing showing smooth transitions and eloquent language. I absolutely loved how you closed out the body of your work. As a fan I can’t wait to see you and your teammates continue to grow and love witnessing how you guys band together making the necessary adjustments. I love you guys and I love watching Seahawks football. Thank you for all you do! 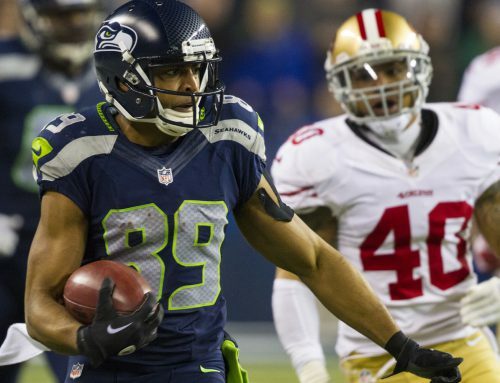 Earl, all of us 12’s are lucky to have you in a Seattle uniform. The whole crew is fantastic and I may be the only Seahawk fan that doesn’t care about multiple championships. We have champions, on and off the field. What more could a fan ask for? For now… It’s time to put a hurtin’ on KC. Thanks Earl for be part of the Seahawks,you are amazing , thanks for share this. “It is important to remember that we all have magic inside us. As others have said, thank you! This article was so well written – as well as definitely from your heart! You have a wonderful way of explaining yourself and laying out a vivid word picture for all of us to “get it”. Excellent glimpse into your perspective of not just yourself, but the rest of the team. And I can’t neglect to say thanks about your mention of Jamaal Charles. Yes, he is formidable for sure – and the respect you give him only gives me more respect for you!!! Class – pure and simple. Now… we’re just a few hours away from the start of the game – it’s gonna be a good one! GO HAWKS!!!! Julie Hyatt – a loyal and proud member of the 12th Man in Yakima, WA. I luv each and everyone of you because i know and feel the effort and energy you put into playing each and every game. Keep that championship mind set and chug along. Choo-choo the train that could. As a lifetime Seahawk (and football) fan, the last several years has been an amazing ride!! I know that every game won’t be a “W” and every season won’t end with a parade. As fans, all we can ask for is a team that competes with passion, inspires us with their joy for the game, and goes into battle with a love for each other. 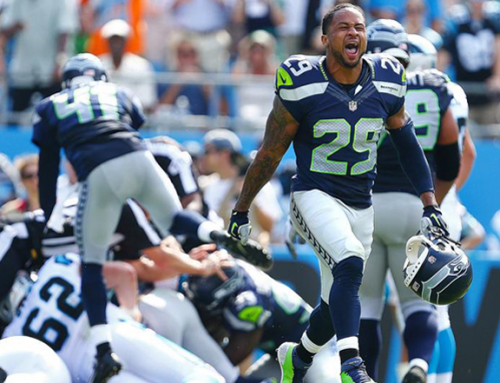 Earl Thomas is the epitomy of this, we are extremely lucky to have him on the field and in the locker room. I am looking forward to great football the rest of the season and for years to come! ALL ABOARD!! I love this post, it reminds me of just how amazing the players are that us 12’s get to cheer on every week. Going to grad school in upstate NY hasn’t left me with too many Seahawks fans to watch games with, but it has left me with a lot of banter and comments about our players, our performance this year, and how we play football. 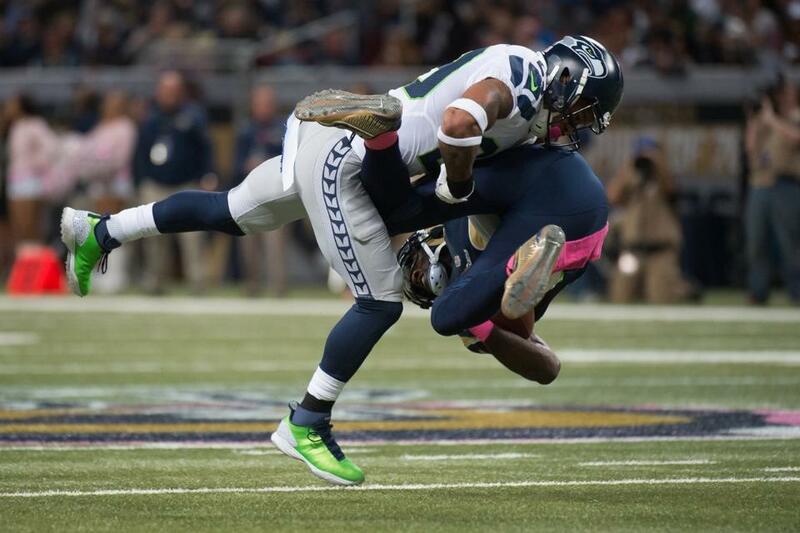 And every time I hear it, I block it all out-I trust in my boys to do Seattle proud. Been a Seahawks fan my whole life and I’ve never been more proud, what an amazing and heartfelt group of players. Best of luck today to all the Seahawks, I’ll be watching from upstate NY! Earl thank you for your blog, it is refreshing to see you view of our team and not the media’s. Love you man!!! 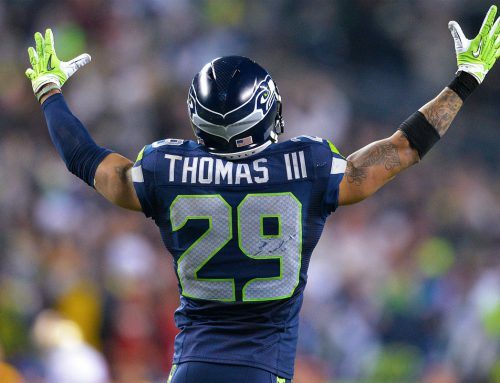 There’s a reason that Thomas 29 is the only Seahawks jersey I wear! Thanks for such a thoughtful, insightful blog Earl. You are awesome, on and off the field. We love you!! i just love the family values you stand for. I can’t wait for the next weekend to watch the Hawks play. You all are a class act team and we appreciate all you do. You make me continue to believe. Just a bump on the tracks won’t derail this train. I believe in you and I believe in this team. God speed onto the next train stop, because the train is still moving and there ain’t no stopping us now. Go Hawks!! !